Deborah Shepperson, administrative assistant at New Market Corp.'s Afton Chemical subsidiary in Richmond, uses Bounce 2 The Moon for various events. "I absolutely love them," she said of the couple. "They have always been professional. We are very safety-conscious, and our safety director was very impressed with their setup." Michelle Swalin, recreation manager for Goochland County Parks, Recreation and Facilities, describes Bounce 2 The Moon as outstanding. "We have always had a great experience with them. They are very knowledgeable. They set the standard," she said. 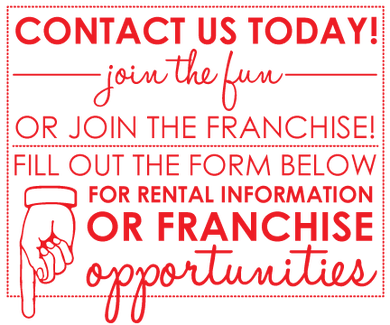 Contact Bounce 2 The Moon for rental request or franchising information.